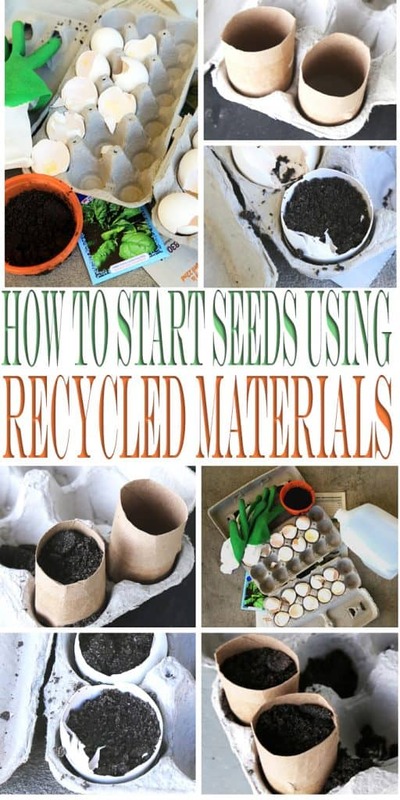 Start Seeds Using Recycled Materials Found In Your Home! Using recyclable material in the garden is our favorite thing to do and a smart way to garden, my friend. 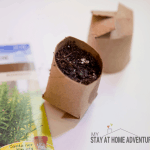 You can start seeds using recycled materials this season and you are going to learn how you and your family can today. My love for gardening started in 2013 if you follow this blog you will know that gardening season is an exciting event for me. As my kids get older, I wanted to show them and teach them how much fun gardening can be. I also want them to know that you start seeds using recycled materials as well. Why is it so important to use recycled material in your garden? 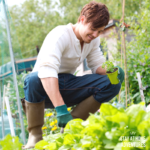 For me it is important to know how to grow your own food, it is also important to learn and know how to reduce waste and reuse items you have around the home. Kids are fast learner and teaching them from the start about green living that includes recycling and sustainability is important in today's world. 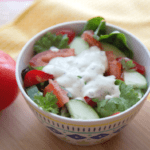 If you are not sure about recycling and what you can or can't be recycled this article will give you enough information to help you get started and give you ideas how you can recycle and reuse material to grow your own food. 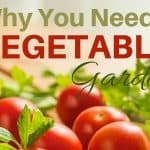 To start growing your garden all you need are everyday items you have around the house and seeds. Some of them are items your kids are going to find very interesting and will entice them to be more active in this DIY. Before we begin I wanted to remind you of something. 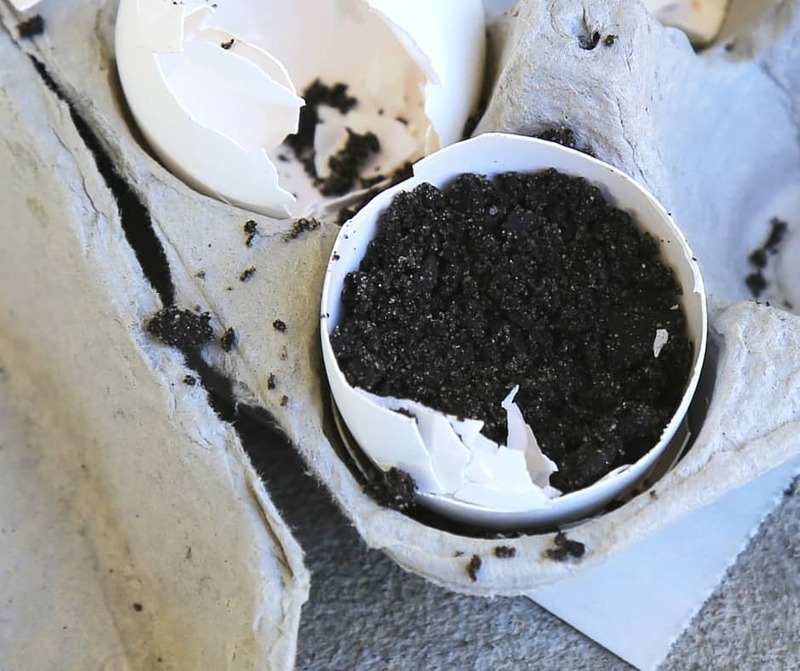 Grab your eggshells and make sure fill them with good quality soil. Gently insert the seeds (about 3) and cover them with dirt. 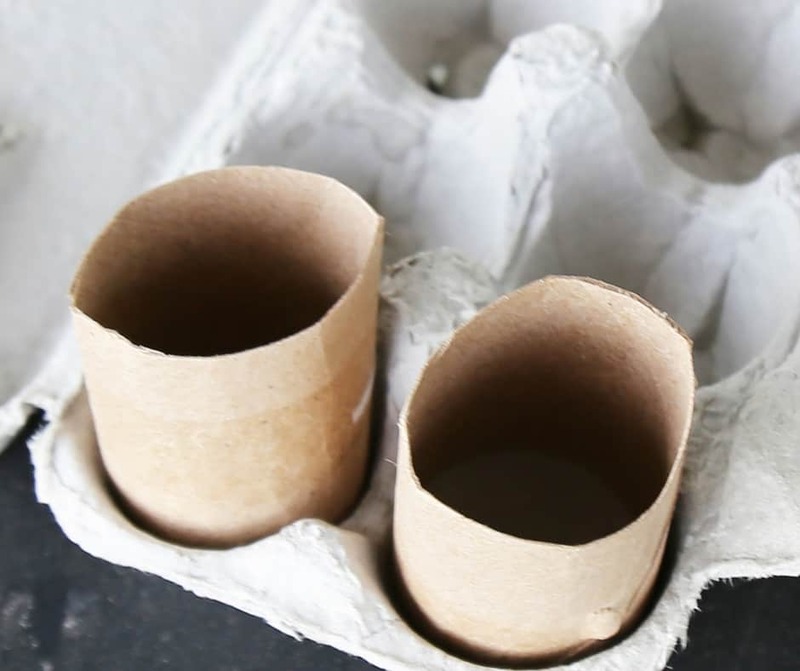 Moisten the area and place the eggshells in the egg carton as this works best. Keep the seeds in a warm well-lighted area. Below is a tip that works for us to help germinate faster. You can create your own greenhouse using empty plastic bottles to help these babies grow! We decided to plant spinach because during the summer we go through spinach like Popeye. Will they all grow? I don't know the point is that my kids were learning about reusing and recycling (the watering can project is up next) and we had tons of fun. Make sure you follow us via Instagram and see how our garden is doing throughout the summer. 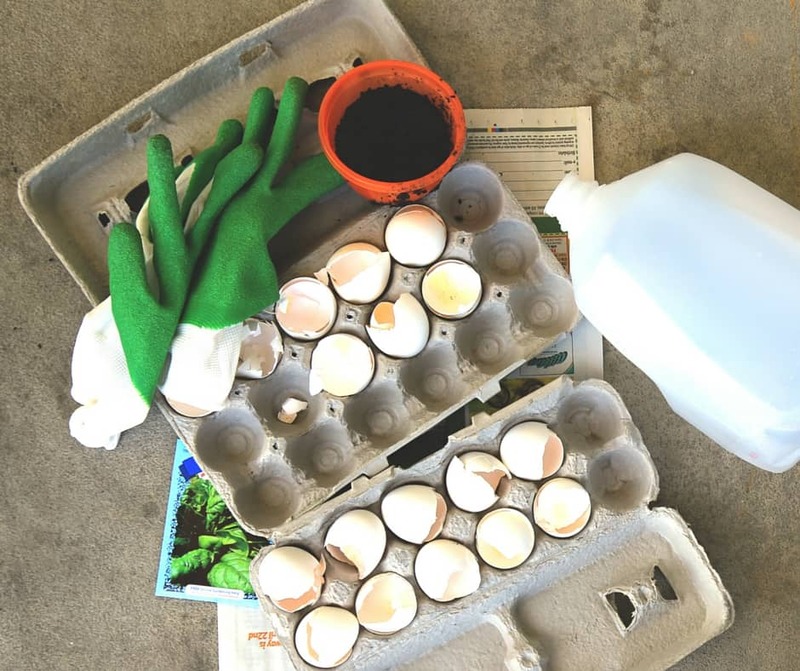 *Another tip we used the egg cartons to hold our eggs, however, you can also use them to grow more seedlings. 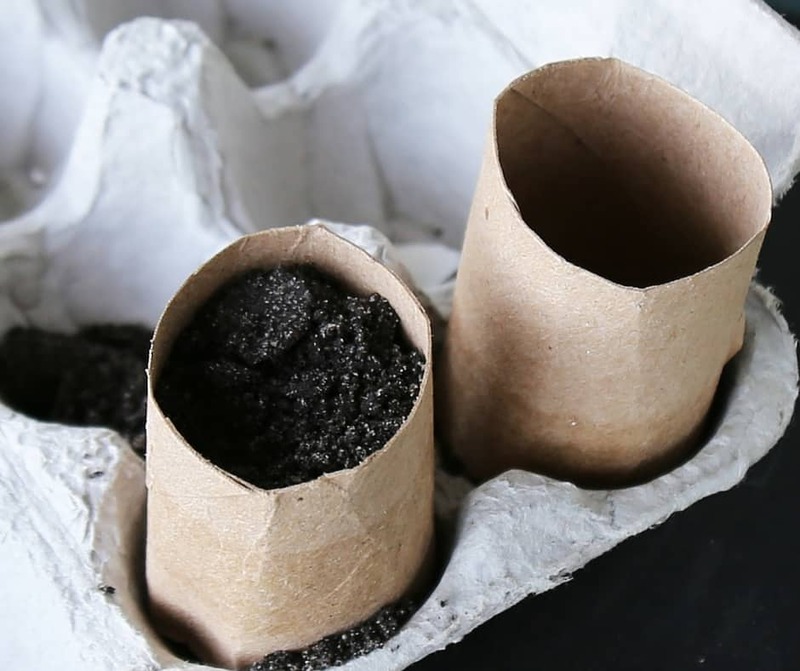 You can also use empty toilet paper tubes to plant your seeds as well if you don't want to deal with eggshells. I used them and still used egg cartons to keep them in place. Cut the empty toilet paper tube in half. 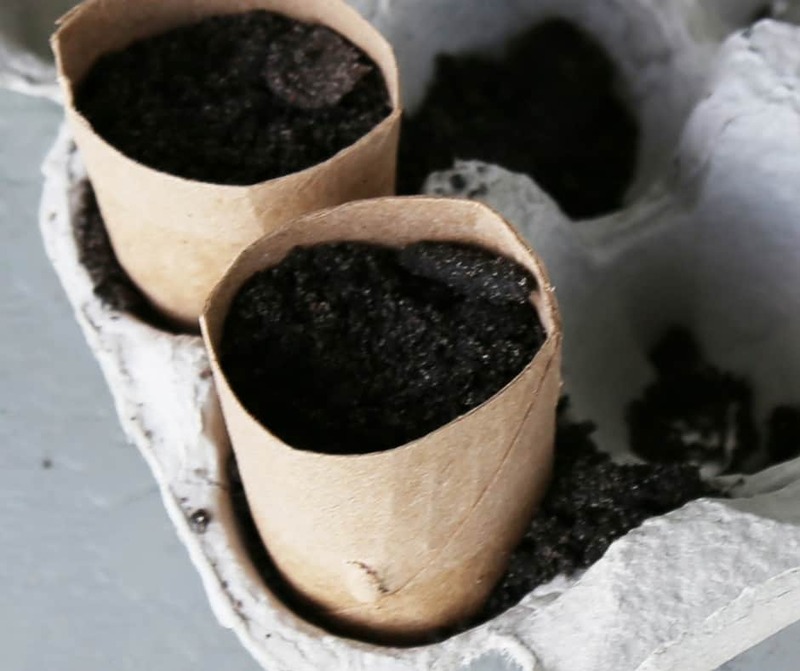 Place them in the egg cartons and add soil to them. Speaking of bathroom products, personal care items can also be recycled as well. Add the seed and water them. This was a fun activity to do with my family. This was also used as a learning experience to teach my children the importance of recycling. Recycling should be something every parent should be talking about in a fun and educational way. As promised we are going to go into more details about recycling and you will find them below. In 2016 we partnered with Johnson & Johnson to share what they are doing and with information to help you find locations to reclycle. We chose to teach about recycling using gardening because it is something we enjoy. You can teach and learn some educational tips by visiting Care To Recycle®. Here are some facts about in-home recycling habits and why it is important for us parents to teach our children about the importance of recycling. A 2016 consumer survey on in-home recycling habits, conducted in partnership with Johnson & Johnson Consumer Inc., shows that 60% of parents would be more likely to discuss recycling with their children if it was an activity they could do together and they had more creative, engaging ways to explain the impact of recycling. One-third of regular recyclers (34%) admit that it never even occurred to them to recycle in the bathroom! The largest obstacle when it comes to recycling personal care products in the bathroom is a lack of tools and resources; only one in five recyclers have a recycling bin in their bathroom. With these statistics, you can see why activities like the one above are important. 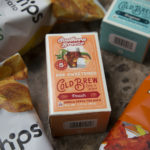 Not only because we are growing our own food, but it is teaching our children about the importance of recycling and the effect it has on our environment. It is creating a habit for them to start recycling without even thinking about it in the future. Johnson & Johnson Consumer Inc Care To Recycle® shares many informative tips about recycling products in your bathroom. As you can see from above you can recycle empty toilet paper roles! What's Care To Recycle® program? 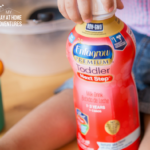 Care To Recycle®, a program of Johnson & Johnson Consumer Inc., provides creative new ways for parents to re-imagine their recycling habits beyond the kitchen and into the bathroom, while engaging their children. Care To Recycle® aims to raise awareness of the importance of recycling personal care products in the bathroom, including preventing valuable materials from entering landfills unnecessarily. Recycling no longer needs to be viewed as just another household chore; showing your kids how to recycle can be one of life’s little teachable moments that can have a lasting impact. Care To Recycle® seeks to break down barriers commonly associated with recycling in the bathroom by showing that recycling in the bathroom can be easy and fun! Everything from shampoo and mouthwash bottles to soap and bandage boxes can be recycled. 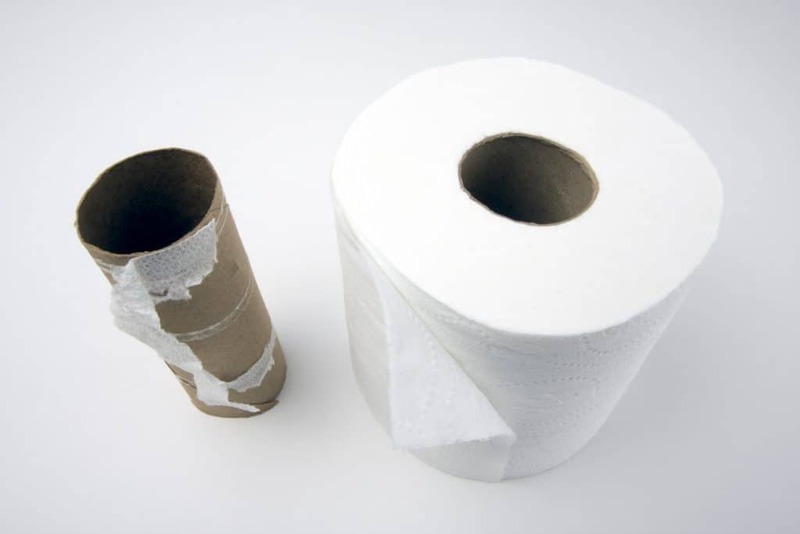 To better understand which bathroom products can and cannot be recycled, visit www.caretorecycle.com. The more you know about what’s recyclable, the more likely you are to do it. For tips and tools to become a better recycler, visit www.caretorecycle.com. How do you recycle products at home? Love this idea. I want to try this. When is a good time to start this process before you put them in your garden? Hello Pamela! When they seedlings are nice and able to handle the weather, I think I’m going to place them in my containers. I treat them like I do with my other seedling. The only thing is I haven’t done it with the TP rolls and I think I’m going to do it the same way. I will post it in my instagram account.